Home » SALE » LEFT HAND LADIES MAGNUM XLT 3 PIECE WOODS SET: DRIVER, 3 WOOD & 3 HYBRID IRON. AVAILABLE IN ALL TALL, PETITE, & REGULAR LENGTH. - SET INCLUDES HEAD COVER FOR ALL THREE WOODS. AVAILABLE IN LEFT HAND, PETITE, REGULAR AND TALL LENGTHS!! 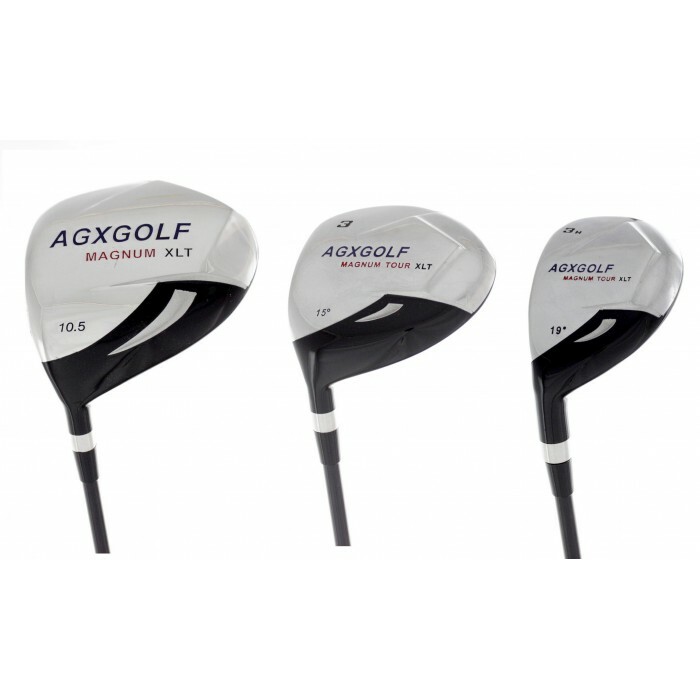 This set of golf Woods from AGXGOLF is an ADVANCED full technology package!! DISTANCE off the TEE and Down the FAIRWAY! That's what you can expect from the XLT EDITION OVERSIZE Driver and Lower Profile Fairway Woods. Although these woods are intended for medium to lower handicap golfers, beginners who don't mind starting out with an advanced clubs will find that these clubs are easy to learn with! Keep in mind that Titanium/Stainless Steel heads have OUTSTANDING durability. So even if you are a beginner or you are up-grading from a beginners set you can expect these clubs to last you a lifetime of golf. DRIVER (10° ) with 460cc OVER SIZED HEAD for maximum distance and larger "sweet spot"
FAIRWAY WOOD (#3), with Low profile and low center of gravity head to get the ball up out of tight lies for those nice LONG DISTANCE FAIR WAY SHOTS. #3 HYBRID Fairway Iron for those LONG PIN SHOTS and a real "life saves" for those longer fairway shots. AFFINITY/ORLIMAR GOLF is headquartered right here in Michigan and they've been around for a long time (even longer than we have)! We've been playing heir Golf Clubs since we were kids and have been nothing but satisfied and we GUARANTEE that you will be too!! Shipping will be billed at our actual shipping cost. 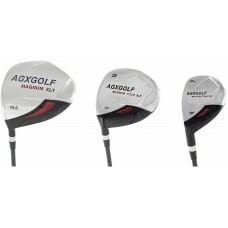 LADIES MAGNUM XLT 3 PIECE WOODS SET: DRIVER, 3 WOOD & 3 HYBRID IRON. RIGHT HAND, HEADS ONLY!! 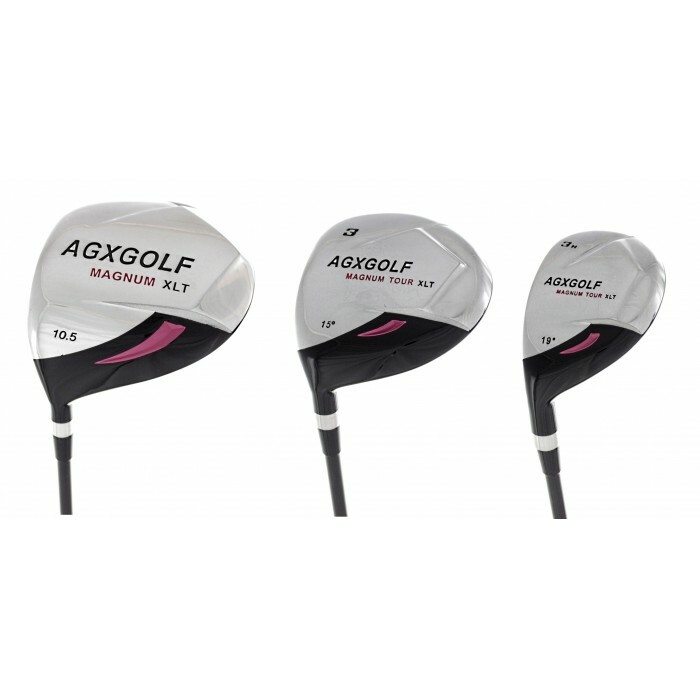 LADIES MAGNUM XLT 3 PIECE WOODS SET: DRIVER, 3 WOOD & 3 HYBRID IRON. RIGHT HAND, AVAILABLE IN ALL TALL, PETITE, & REGULAR LENGTH.